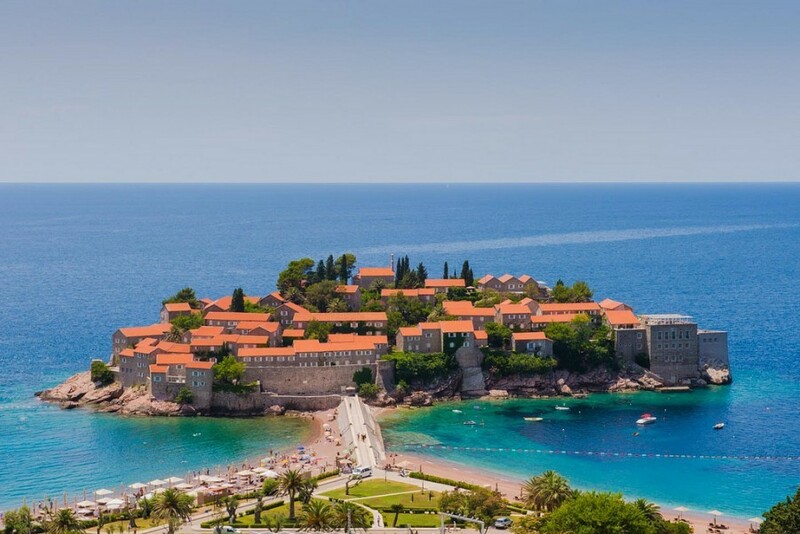 Sveti Stefan is hotel resort in Montenegro situated on a small islet and is one of the most exclusive resorts in the world. Once a fishing village, in 1960 it was converted into the old town, with its tower, narrow streets, shops and small churches, remained unchanged. It stands on the cliff of a rocky island with roofs red like rubies. A sand isthmus connects it with the land. 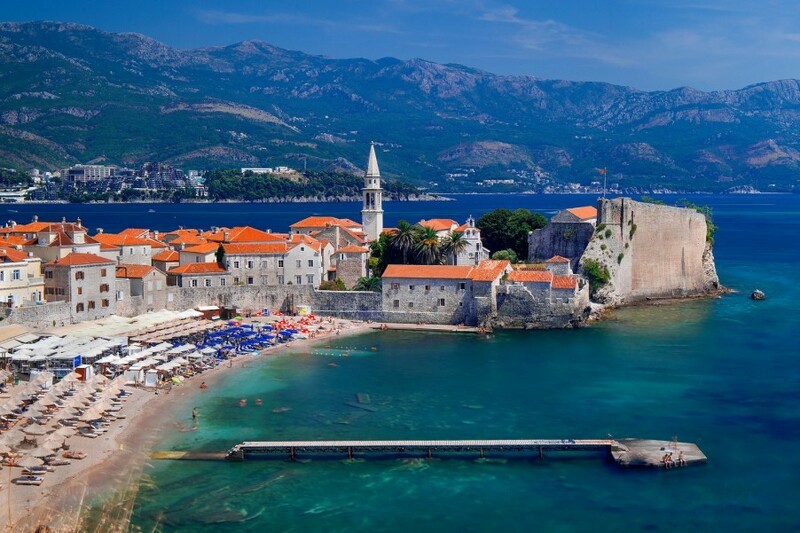 Budva is a coastal tourist resort and the most visited destination in Montenegro. Known as the city that never sleeps, it is base for mass tourism, with an old town, bars and nightclubs, and beaches mostly consisting of small rocks. In its near vicinity there is luxury resort Sveti Stefan. 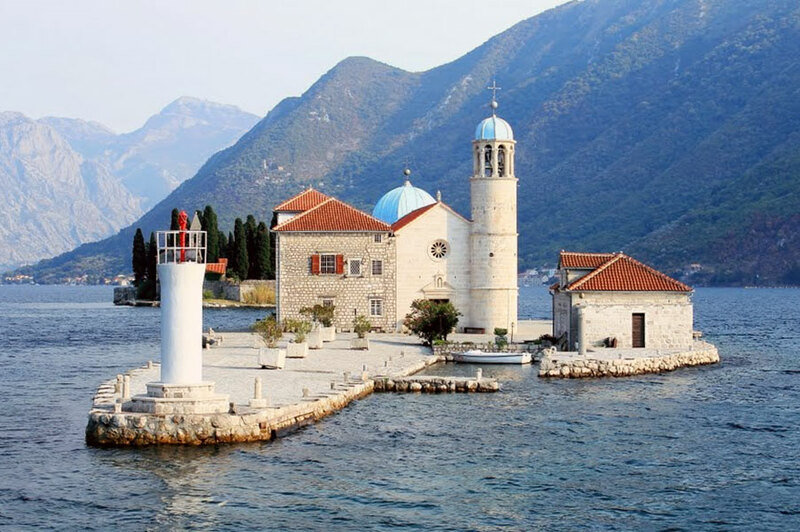 Perast is a small, quiet town with a population of less than 400 where you can escape Montenegro’s the busier seaside resorts such as Kotor and Budva and enjoy a couple of leisurely hours strolling through the streets, and visiting a few museums and churches. Our Lady of the Rocks is an artificial island created by bulwark of rocks and by sinking old and seized ships loaded with rocks. The Roman Catholic Church of Our Lady of the Rocks is the largest building on the islet; it also has a museum attached. 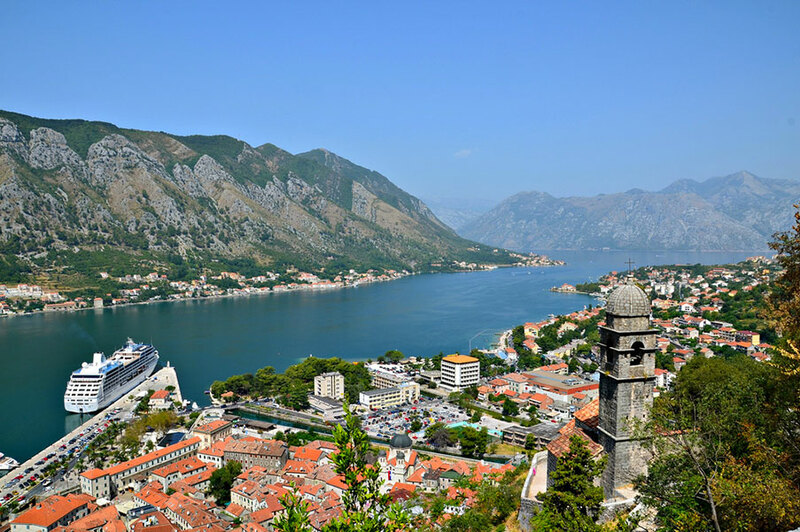 Kotor is a coastal town in Montenegro with a population of about 13,500. 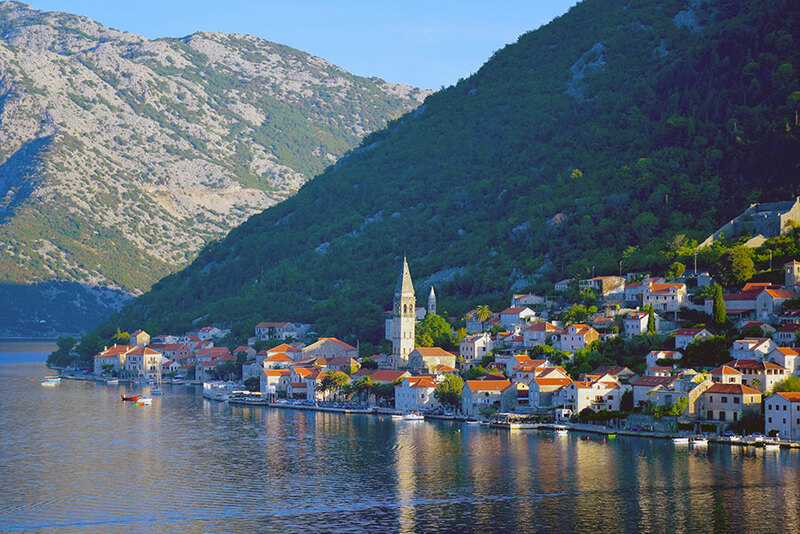 It is well-known for its World heritage medieval structures (including churches and fortifications) and its stunning natural setting at the very edge of the mountain-rimmed Kotor Bay. Lovćen is a national park in Central Montenegro. It is a kind of Montenegrin Mount Olympus. 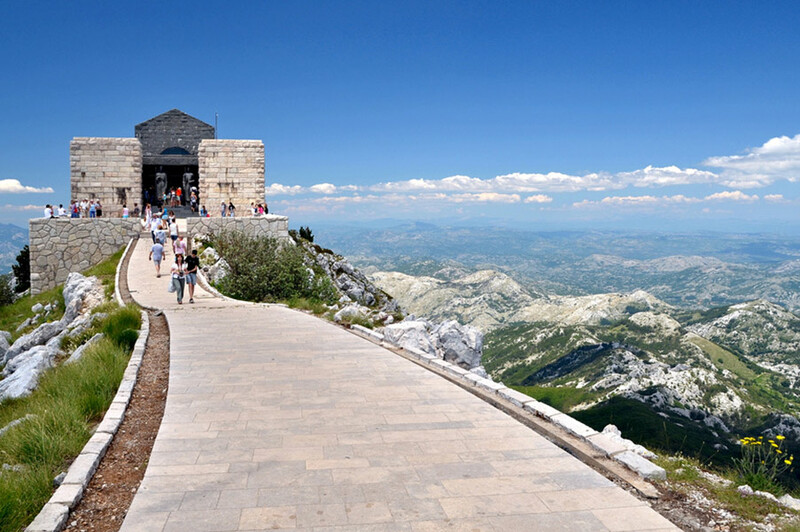 On the top of the mountain lies the magnificent mausoleum where Petar II Petrović Njegoš is buried and is providing mesmerizing view of the Boka bay. Cetinje is the historic capital of Montenegro founded in the 15th century. The town is of enormous historical and spiritual value to Montenegro. 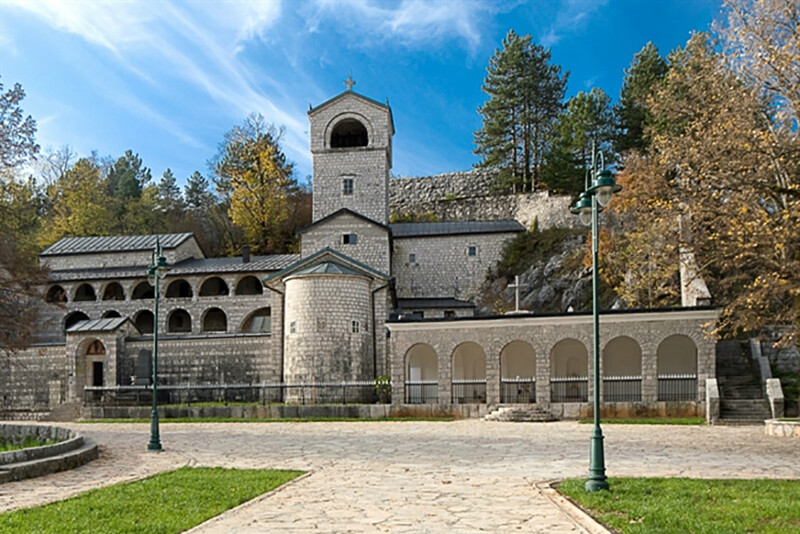 Three Christian relicts are kept in Cetinje monastery: the Right Hand of St. John the Baptist (the hand that baptized Jesus Christ) and particles of the Holy Cross (the cross on which Jesus Christ was crucified); also, the icon of Our Lady of Philermos is situated in the Blue Chapel in the building of the Government House. 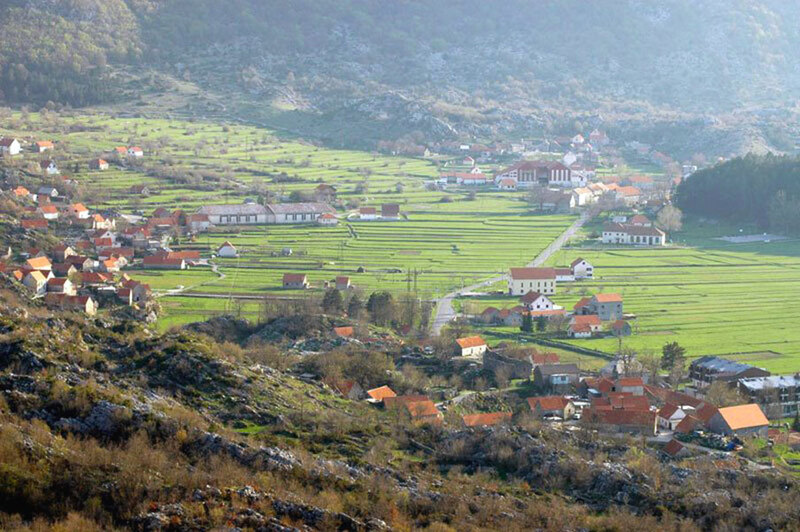 Njegusi is a village in the Cetinje Municipality of southern Montenegro best known as the birthplace of Petrovic dinasty, which ruled Montenegro from 1696 to 1918. Also it is famous for making the country’s best prsut (smoke – dried ham) and sir (cheese). 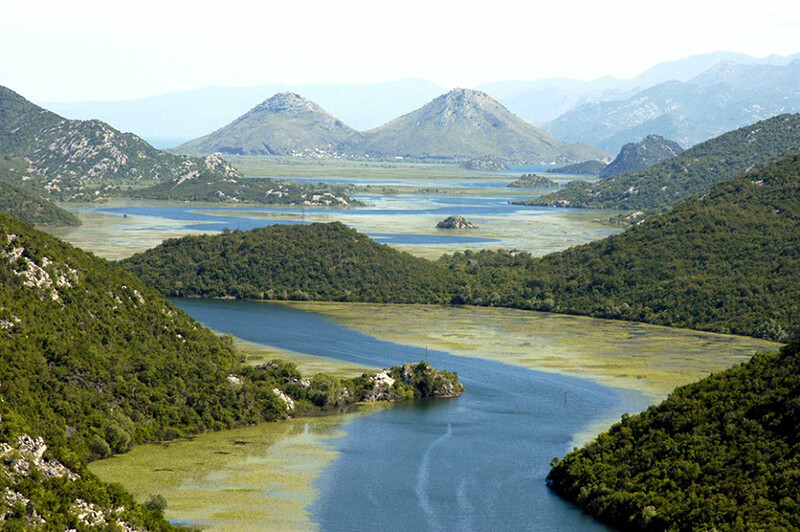 Lake Skadar is a vast freshwater lake, two thirds of which is in Montenegro. It hosts a thrilling array of wildlife with more than 260 species of birds, traditional fishing villages, islet monasteries and pristine beaches. It has been a protected National Park since 1983 and was added, in 1996, to the World’s List of Wetlands of International Importance by the Ramsar Convention.